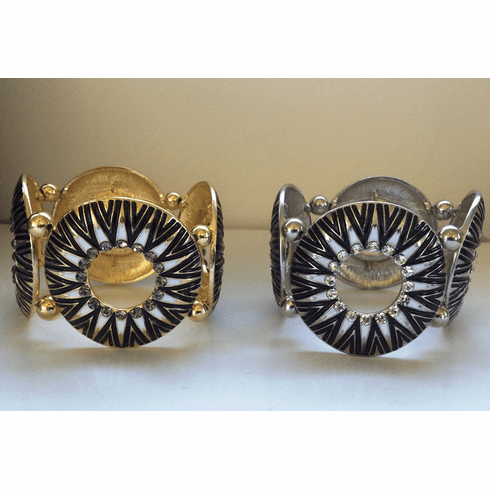 Super stylish tribal pendant cuff bracelet with black and white geometric symbols with crystal accents. Circles measure approximately 1 3/4" inches. Comes in either gold or silver color finish.